During Advent, people in the Bradford area will be giving up a night of comfort and sleeping out with their friends, families, church groups, clubs and community groups. ‘Just because we live in a nice area we don’t need to forget about everyone else. We have a social responsibility to support others’. ”They’re real people like us…we could be in their situation’. 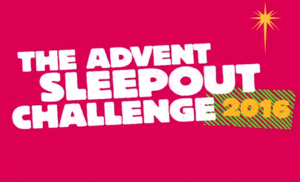 The Advent Sleepout Challenge will raise fund for Wellspings Together Bradford and the work of the Church Urban Fund in the Bradford District. The Sleepout is a national, sponsored event to help marginalised people in England transform their lives and communities. Wellsprings Together Bradford works with churches, community groups and individuals to address poverty in a practical ways appropriate for each situation. Many people are struggling with debt, hunger, homelessness, isolation, addiction, abuse or violence. 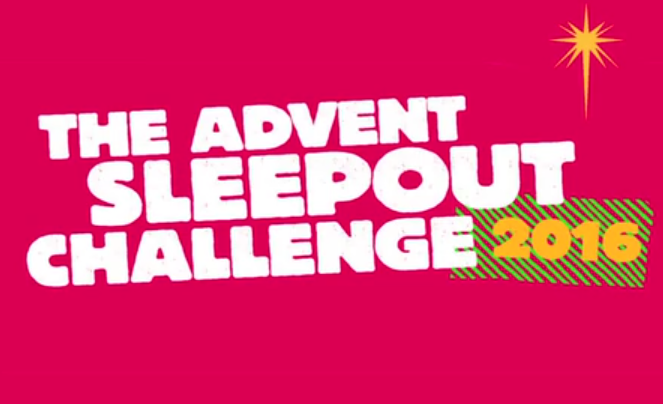 Whatever challenges they face, The Advent Sleepout Challenge will help Wellsprings Together Bradford reach out to even more people, offering practical solutions to help transform lives locally.